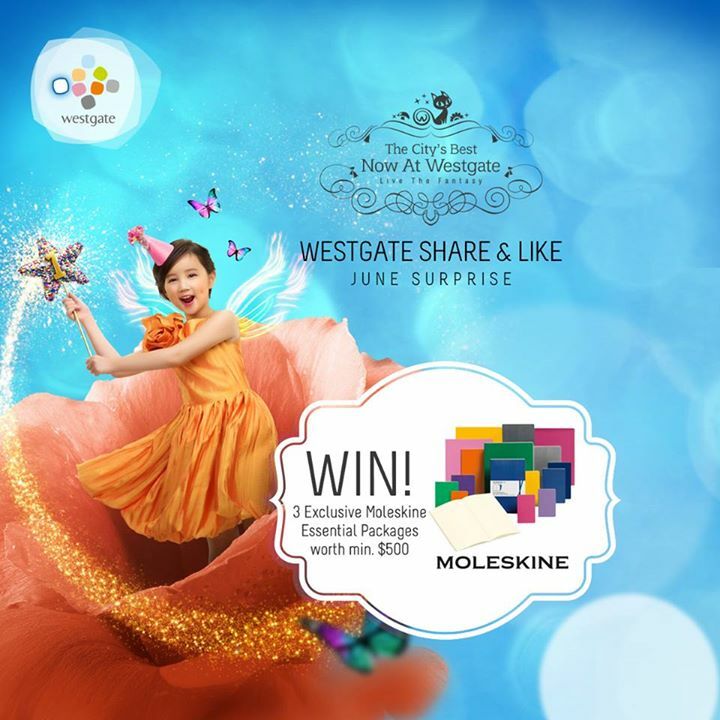 Like, Share & Win! 1) Like Borders Malaysia Facebook page. 2) Share this post and get your friends to LIKE. 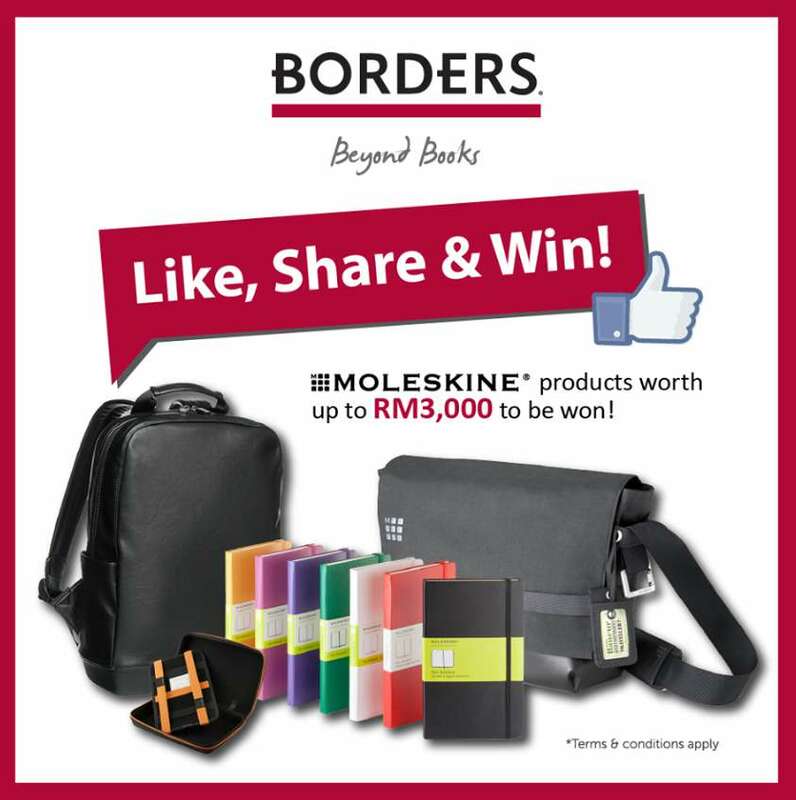 3) Shared post with most LIKE will stand to WIN Moleskine products worth total of RM3,000! 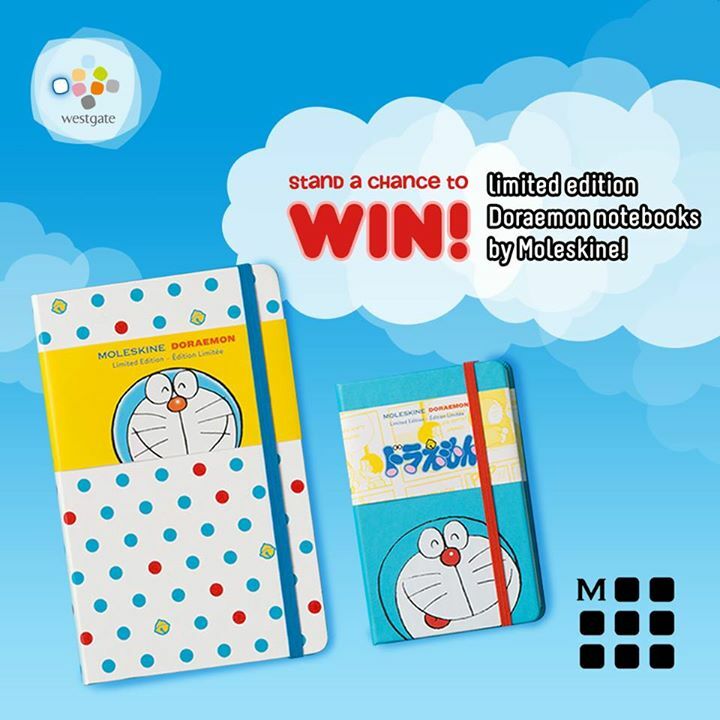 Contest ends on 18 July 2016. *Terms and conditions apply. Find out more at Borders Malaysia.